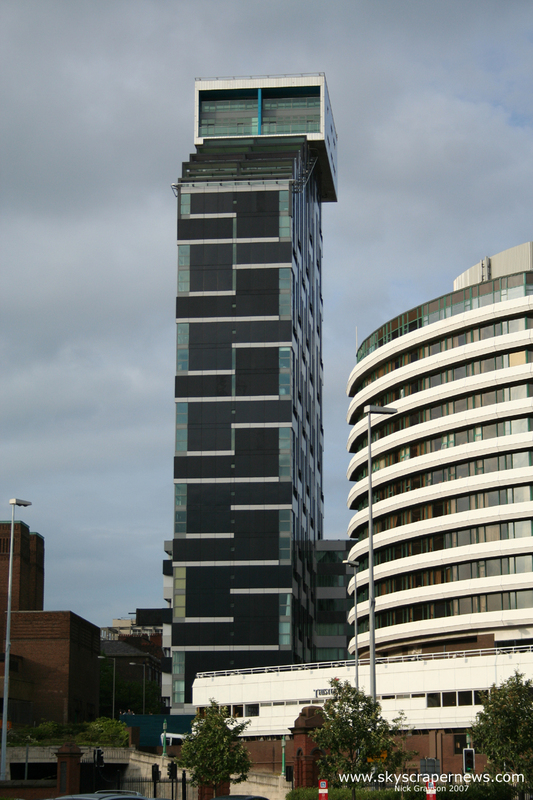 The Unity scheme includes twin towers - one 27 storeys high and the other 16 storeys - on a site next to the Liverpool Thistle Hotel, in Chapel Street, opposite the Pier Head. The futuristic design has been created by Liverpool-born architect Paul Monaghan, now a director with London-based Allford, Hall, Monaghan Morris. It has been inspired by the work of world-famous French architect Le Corbusier's award winning residential block Unite d'Habitation, built in Marseilles in the 1940s - hence the name Unity for the Liverpool project. Splendid picture, Kev. The building is looking good and not far from finished. Cheers Dave - I havnt done any night shots yet,will do soon. Don't forget your tripod! Or place the camera on a stable surface and take a timed picture - that should stop the camera shaking, Kev. will do Dave, I must not rush my shots! 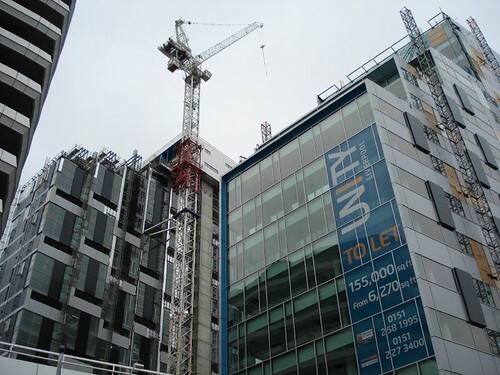 There is a tour to the top of The Unity development on Monday evening, 5pm - 7pm. The time has been extended due to the high interest. 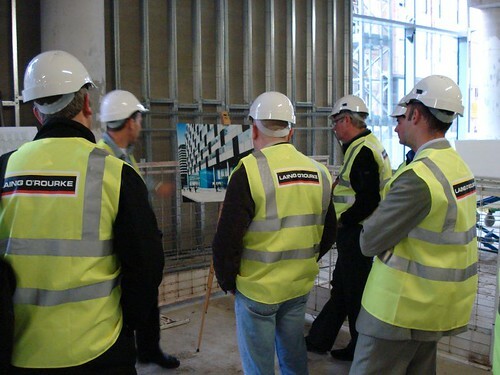 The tour is part of the Downtown Liverpool Week which began on 11th June and finishes on 18th June. I am booked on this free tour and will be taking my camera in anticipation of some fantastic views of Liverpool and beyond. Fancy going? Contact: Anna.Johnson@member.riba.org to book your place. This scheme is amazing, so many bodies working on site. The tour took the group into the commercial building first and at 17 stories is pretty high and will add much needed office space on Chapel Street with commercial units/ shop space underneath at street level. 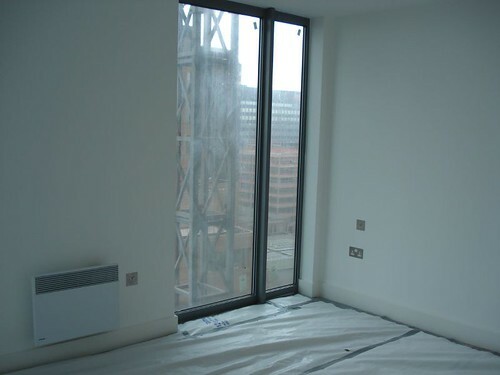 After a brief chat and some amazing views from all 4 sides of the 17th floor we were taken back down in a very smooth but swift lift, to the residential building which stands at 27 stories. The show apartment was almost read apart from the final 'snag'. I thought it was quite small until we went upstairs which opened out onto the living room/ kitchen area with a tiny balcony with fantastic views. After that we continued our trip to the top where we were greeted by a rather tiny but posh buffet and a small presentation. This happened at the very top, the huge open space that is the 2-3 million pound penthouse suite. Want to see more? Check these out. I took the tour around the Unity scheme today and I was amazed. Check out my report: Here. They're brilliant Kev I'm glad you enjoyed it. Paul, it was really special. I was there mainly for the pics and the feel of the site as it progresses, a chance to see my city as never before. MOst were architects and some of the info passed me by very quickly. The colour schemes planned for the walls etc were mad. I've been promised some high quality digital pics from one of the guys working there. Fingers crossed. That'd be great if you could get those pictures Kev,I wonder if they'll do a West Tower tour next year that would be something else. Yes Paul, my thoughts exactly. I've just been passed the Williamson Tunnels and would like to go there too. Maybe we could organise something as a forum group or summink. Well if we get together in July maybe we can head down that way or maybe take in the Battle of the Atlantic Headquarters,that was an area unseen for 50 years.. Yes why not some of the lads on SSC will be up for it as well. How about the first Saturday in July? Thats the day after Aussie Floyd at the pops, yes I can do that. The Williamson Tunnels then the Atlantic headquarters? Invite the SSC. We should post a new thread once we can comit. That sounds good to me we'll just have to make sure that date is good for everyone now. I'll get back to you. And how much was the buffet? Would u be up for it MAx? A trip to the williamson tunnels? 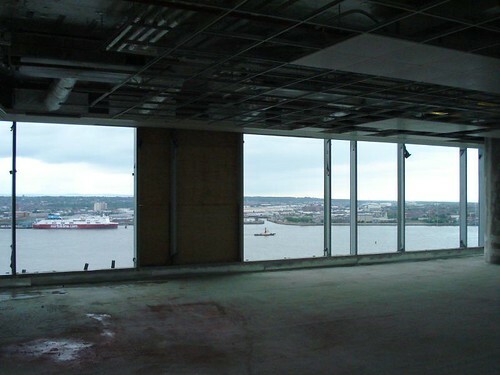 A SKYSCRAPER penthouse valued at £2.4m is set to become Liverpool's most expensive apartment, the Daily Post can reveal. The top floor of the city centre's Unity Building was originally designed to hold two £1.2m suites. But several prospective buyers, including a leading Cheshire businessman, are in talks with architects to knock them into one. Stephen Ritchie, associate director at London architects Allford Hall Monaghan Morris, said: "The two penthouses at the top of the building would each be 300 square metres (984 sq ft). 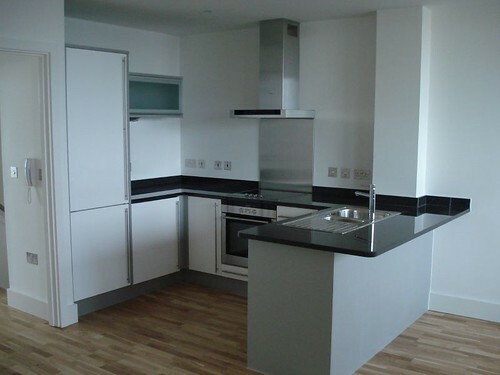 "However, we have had all kinds of interest from some people who want to knock it into one and have a 600 square metre (1,968 sq ft) apartment. We have got to the brink of selling them on a number of occasions, but are still in talks. It may yet be sold as one flat." 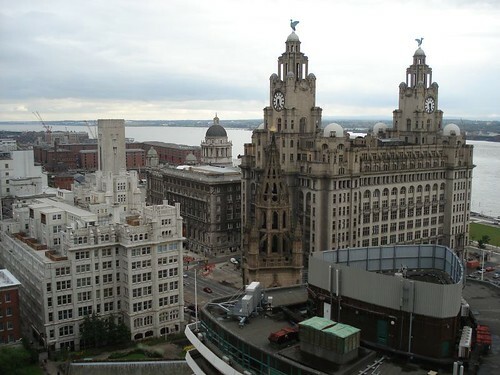 The two-level suite, which stands 84m (276ft) above the city, has views of Merseyside, Lancashire, Cheshire and North Wales. 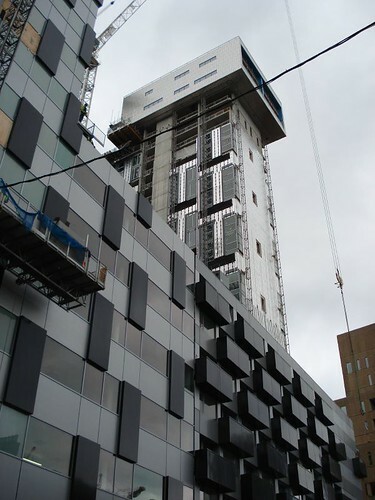 Work is still under way on the £52.6m two-tower development, at Chapel Street and Rumford Place, which is expected to be completed by October. While the penthouse is currently only a shell, plans reveal the kitchen, living room and master bedroom would look out over the River Mersey. The interior design would be tailor-made to the buyer's wishes. The 27-storey residential tower, which is built in three tiers, has two other sets of penthouses. Those on the second level are valued at £925,000, while the third set are expected to fetch £540,000. Architects said 139 of the building's 161 apartments had already been sold, with most expected to go for between £160,000 and £495,000. 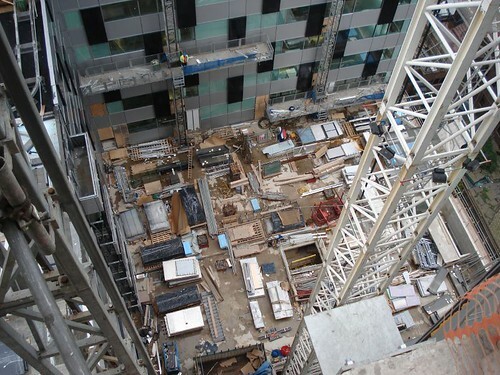 The second tower stands at 64m (210ft) and will hold 15,000 sq m (150,000 sq ft) of office space for prospective occupiers. 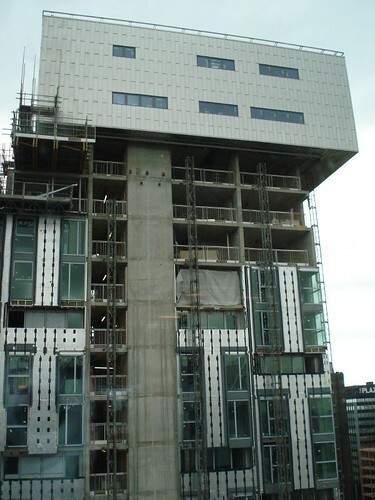 The 16-storey tower is believed to be the biggest office development outside London. 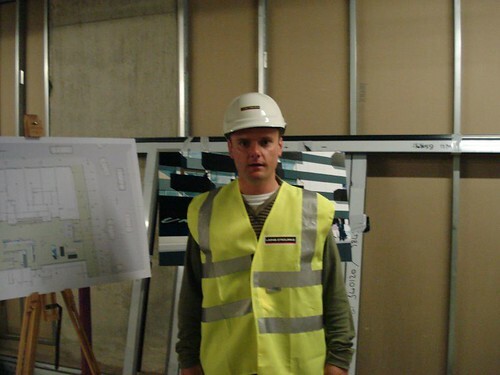 Mr Ritchie added: "We have made the building very distinctive. It has splashes of colour, so it looks different when viewed from different angles." Don't forget!!! I took the tour around the Unity scheme. Check out my report: Here. Last edited by Kev; 06-21-2006 at 09:19 AM. Them tunnels are only 10 minutes away. I'm just waiting for Paul to get back then I'll see whats going on. Kev I've banged it on SSC on the meet up thread so now we'll just have to wait and see if anyone else is up for it. Lord Vader wants to know.